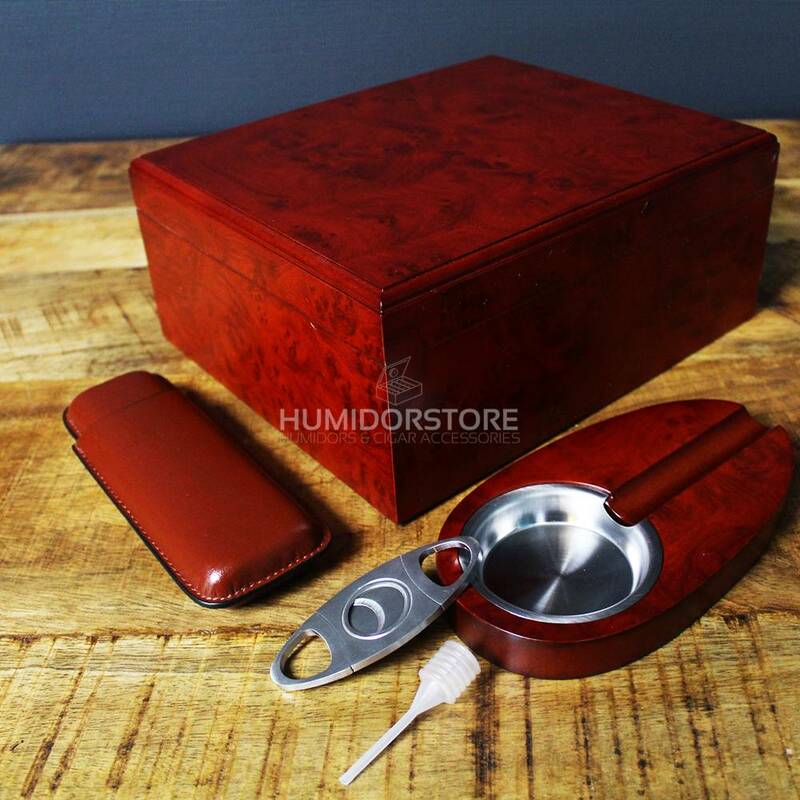 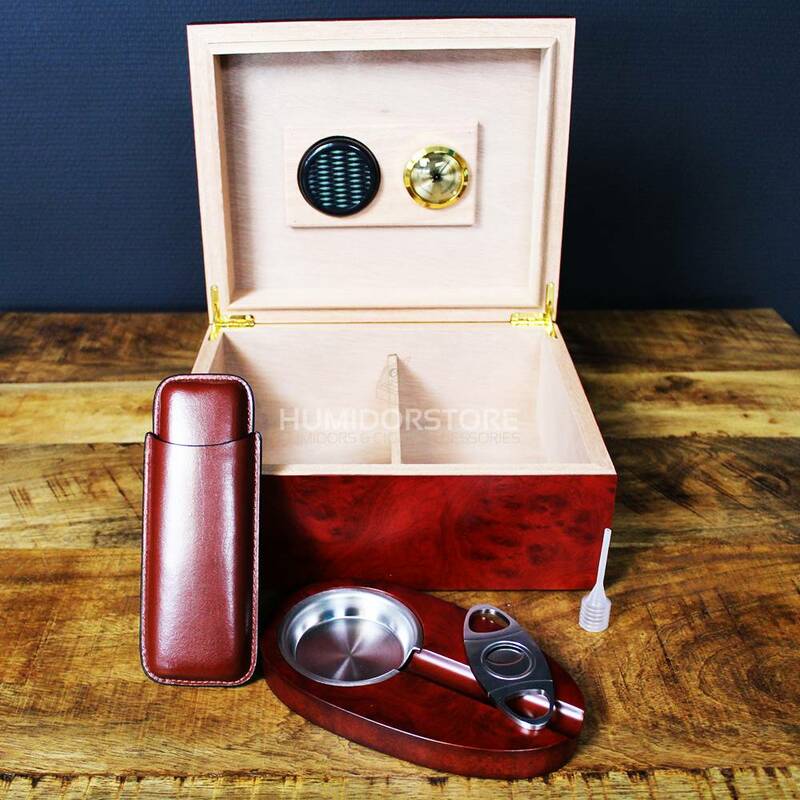 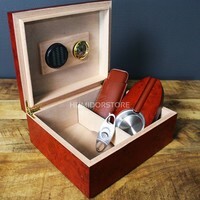 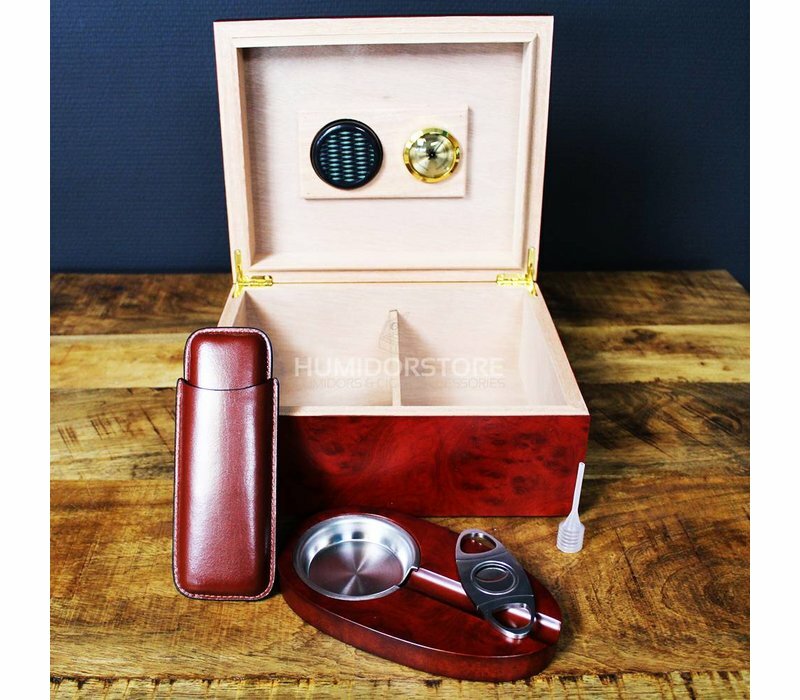 This Humidor Starter set comes complete with hygrometer, humidifier, ashtray, cigar scissor and is perfectly sealed by means of recessed hinges and will keep your cigars in top condition. 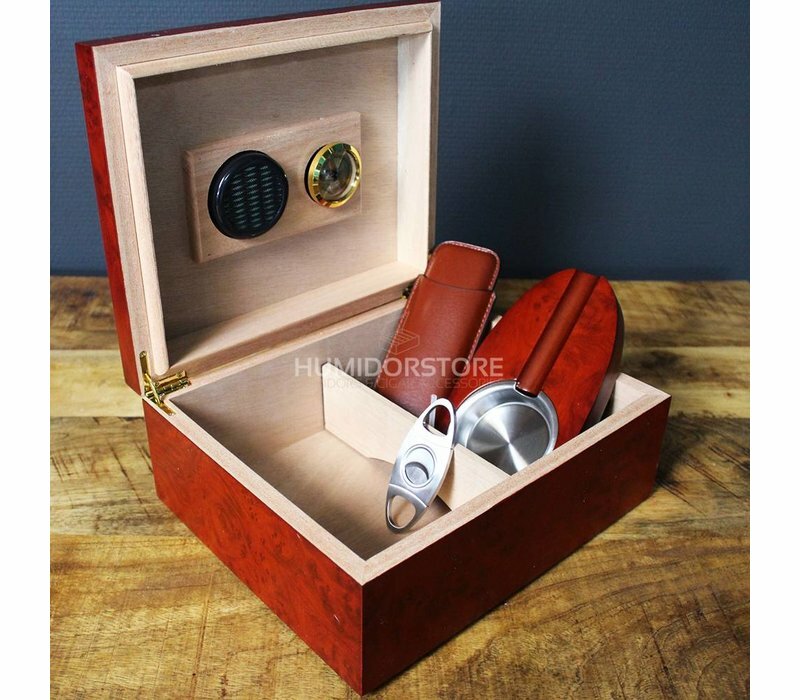 The Humidor Starter set Alex is a beautiful handmade humidor starter set with an interior of Spanish cedar wood and a mahogany exterior. 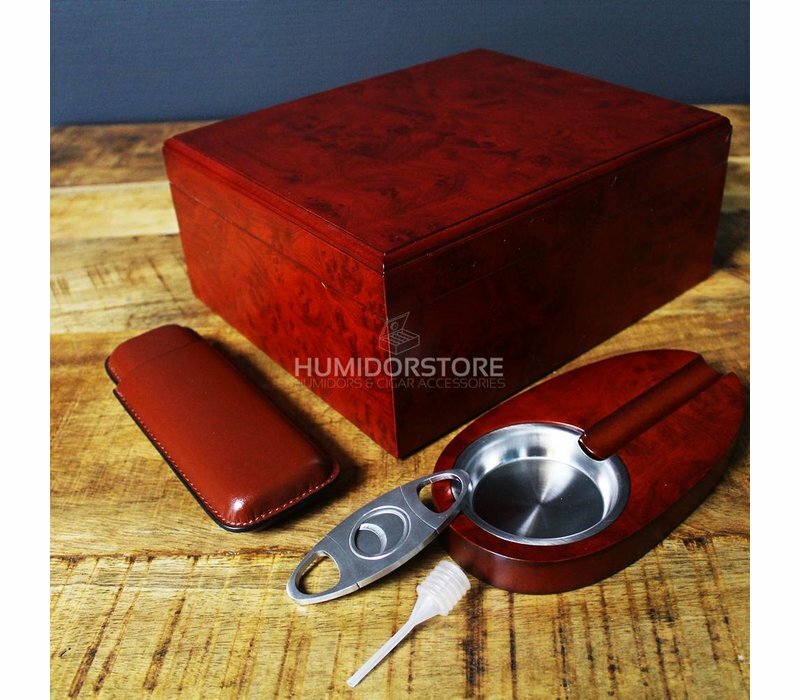 By buying in large we managed to put this beautiful set in an attractive spot on the market, top quality at a bottom price! 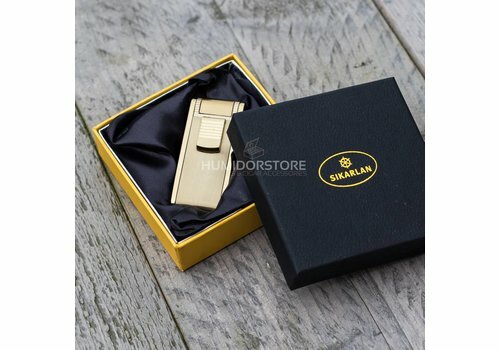 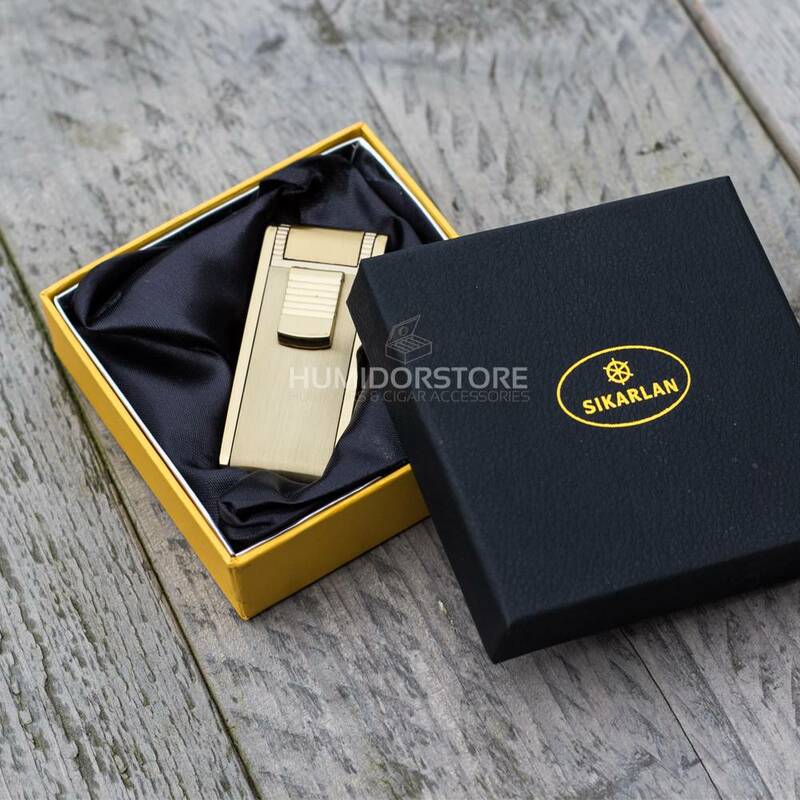 This humidor comes complete with hygrometer, humidifier, ashtray, tube and cigar scissor and is perfectly sealed by means of recessed hinges and will keep your cigars in top condition.